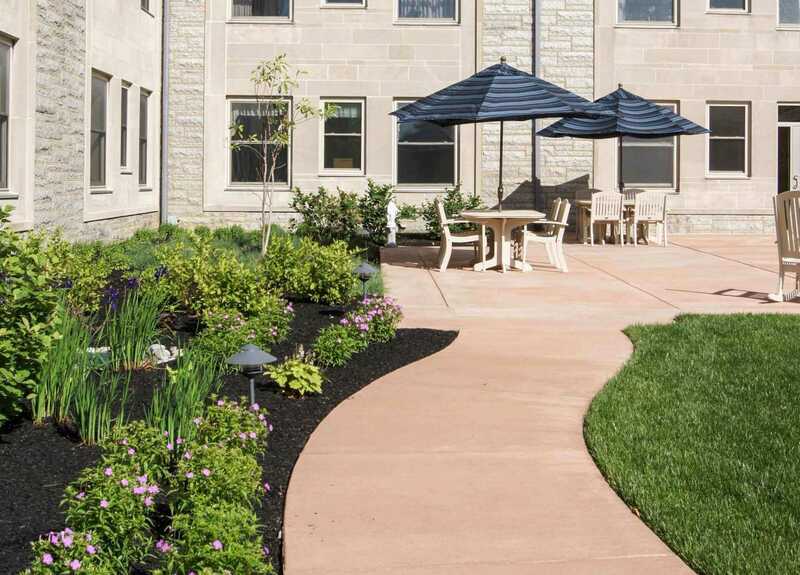 Camilla Hall is the Convent Home and Healthcare Center of the Sisters, Servants of the Immaculate Heart of Mary Founded in 184 . 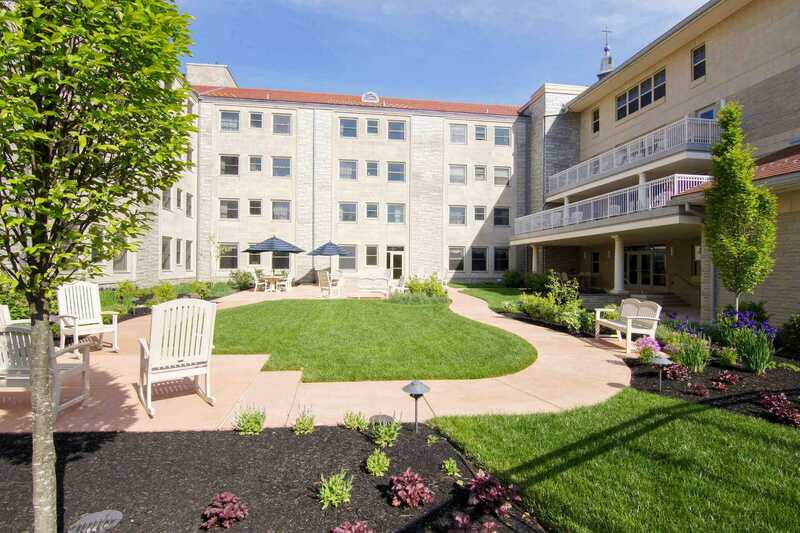 They since moved to Malvern, PA in 1966, when Villa Maria House of Studies, was built at Immaculata, Pennsylvania. 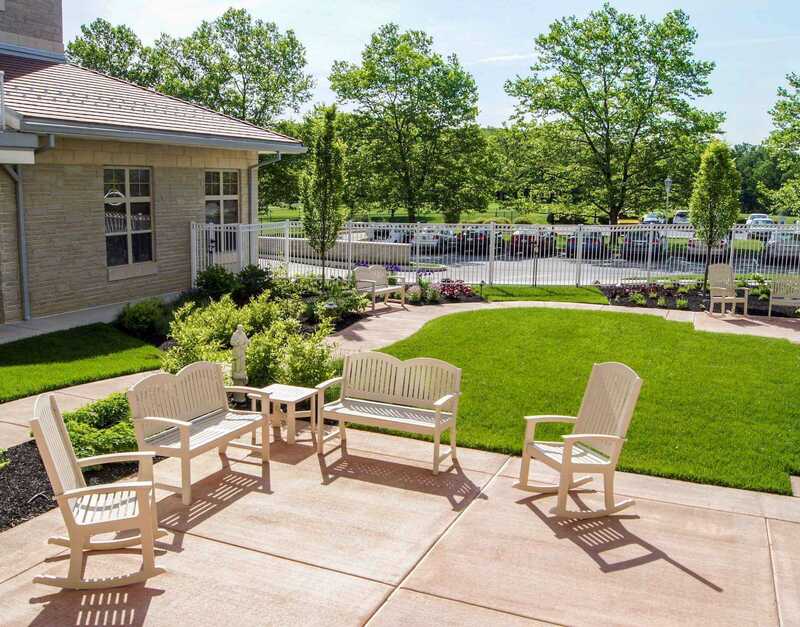 Working with KCBA Architects, this addition was designed for memory support. 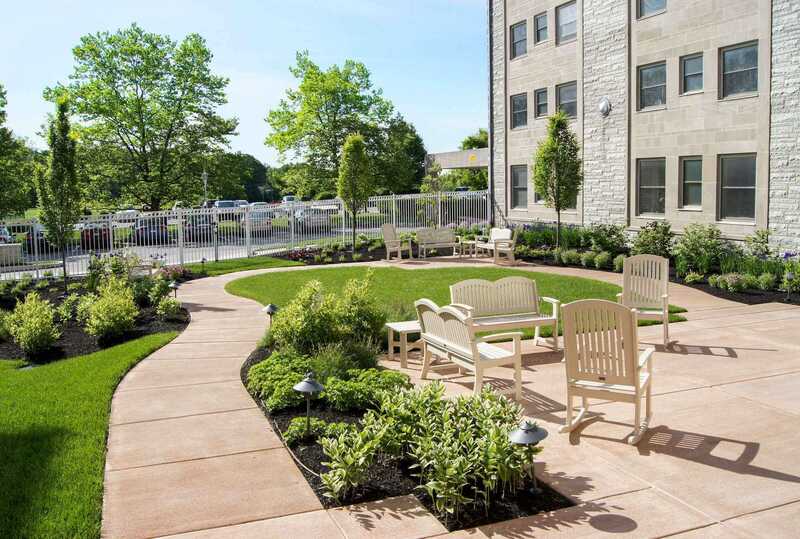 The intent of the space was to create a loop walk and patio area, while attending to the specific needs of senior residents. 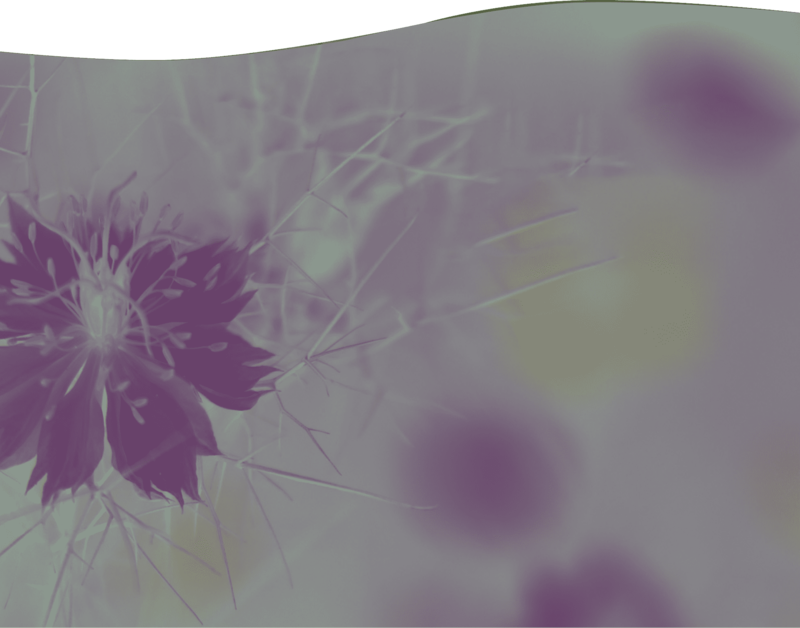 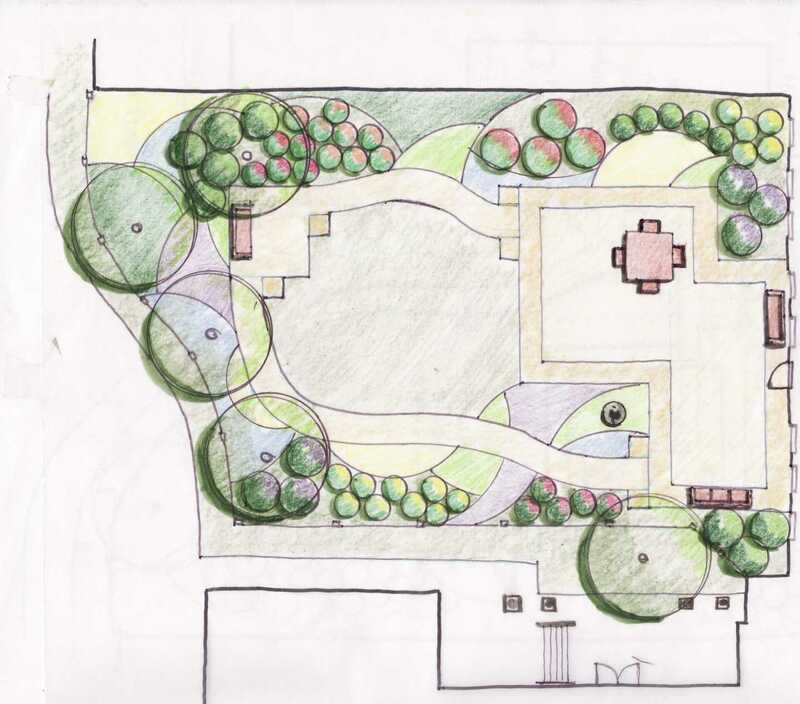 Working with the Sisters, design for the perennials trees and shrubs favored selections in white and blue foliage and blooms. 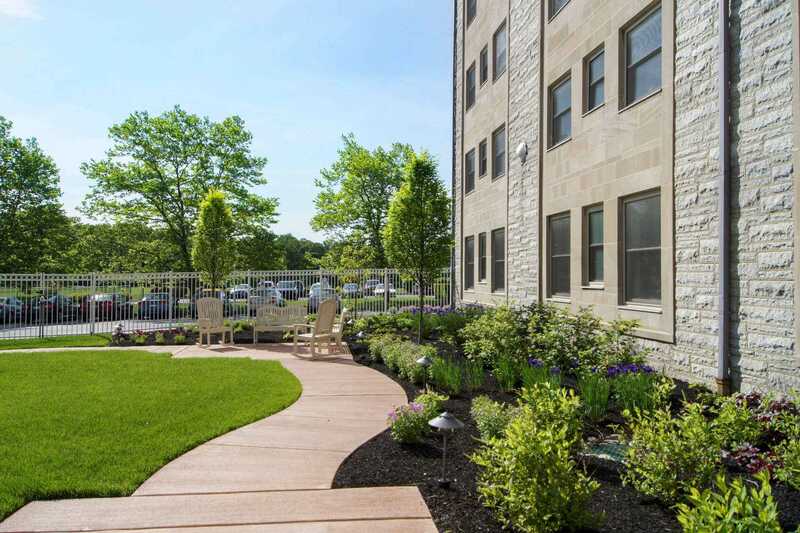 The vegetation also provides fragrance to promote wellness of the residents’ physical and mental health. 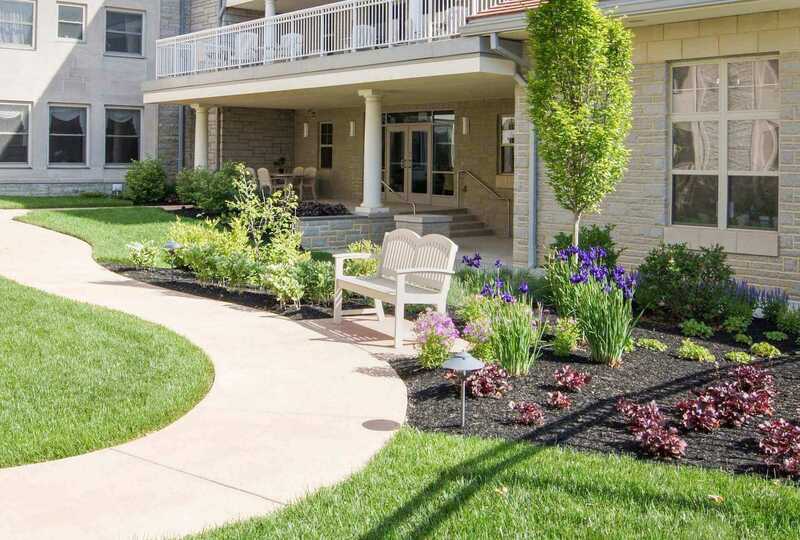 Along with sculptural statuary, the gardens complement the architectural renovations using traditional design in form and style. 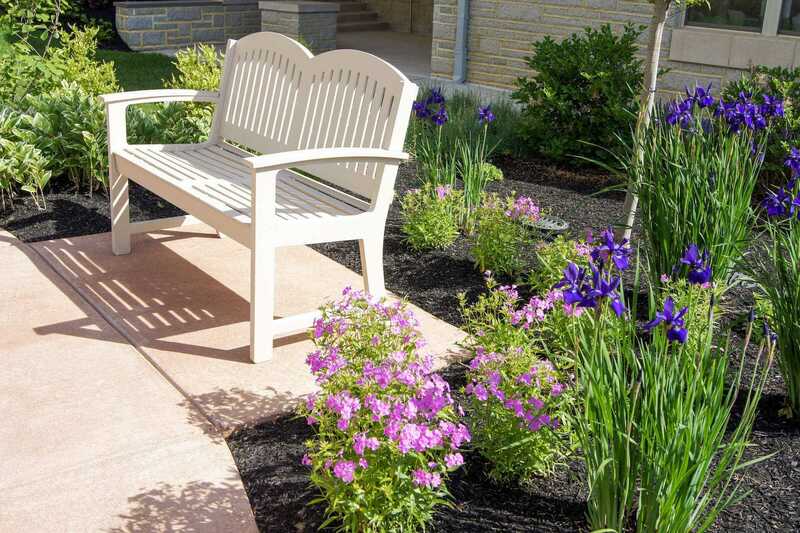 Garden walks were integrally colored to reduce glare, along with seating areas and patios. 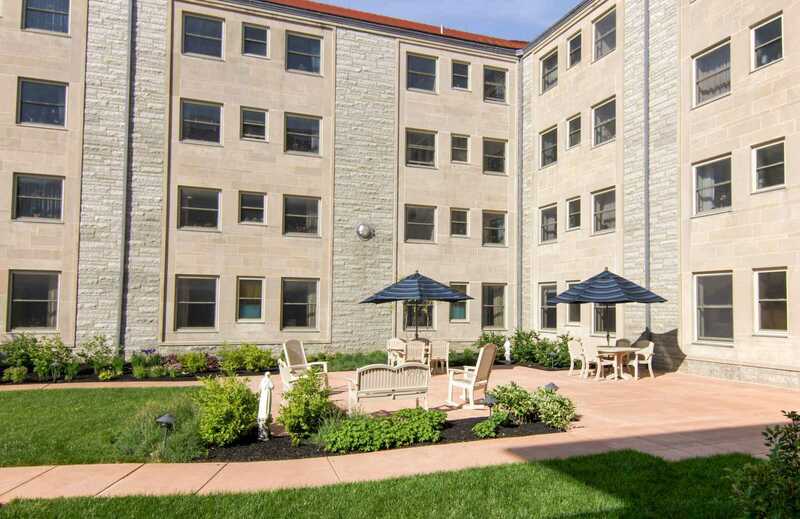 Outdoor furnishings include dining with shade umbrellas and benches consistent with other amenities on campus. 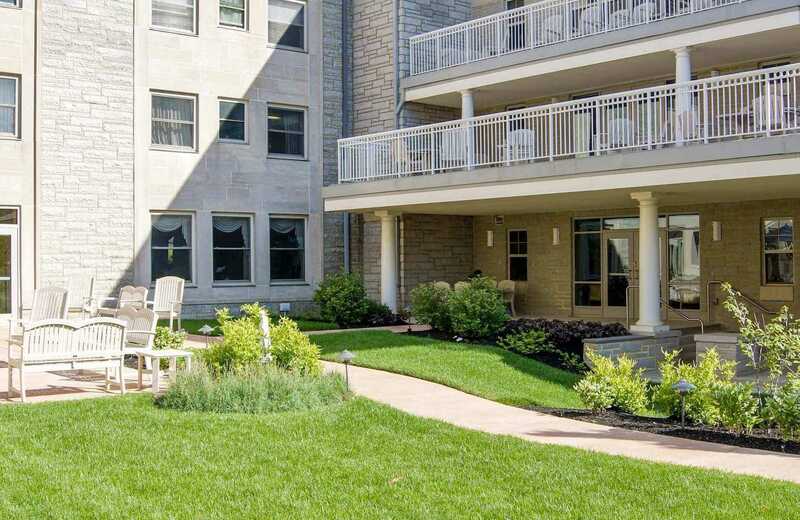 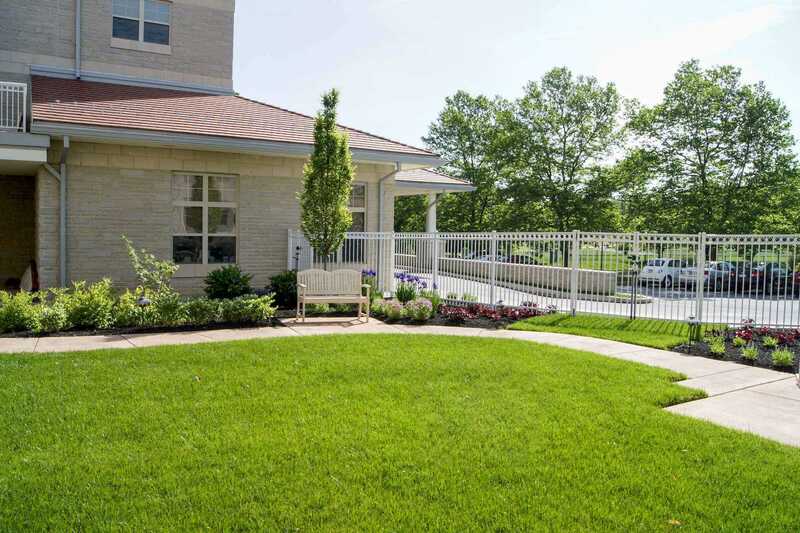 The courtyard is surrounded by a fenced enclosure for the safety of the residents, while maintaining a view to the campus through estate style fencing.